New iOS guitar interface from Positive Grid. There are quite a few iOS guitar interfaces out there in the market now. 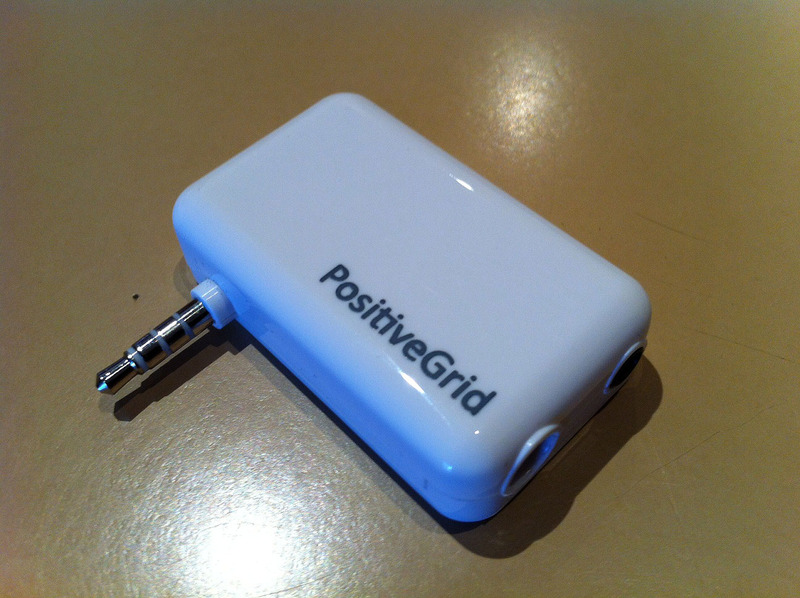 One of the newest players out there is Positive Grid, with their JamUp Plug. Positive Grid have managed to price the JamUp Plug very attractively, out-pricing many of it’s competitors. This will make it very attractive to potential buyers. Also like many of it’s competitors, Positive Grid have made their own iOS app, called JamUp. There is a free version available with 5 amp/fx setups, and the pro version, which is loaded with 6 amp models, and speaker emulation, 14 effects. Both versions come with drag and drop signal path control, a nifty phrase sampler, and iTunes jam player which allows looping, speed and pitch control. There is also a built in tuner, metronome and 16 user presets. I’m looking forward to giving the JamUp Plug, and Pro application a great run through, so keep an eye out for my review coming soon.